Remember that Chelsea Sofa that Fashion for Home sent me a few years ago to review? Well, even back then I was a bit worried about how well the fabric would hold up to the abuse of two kids and my admittedly negligent self. It only took two years, and this sub $1,000 was looking pretty grimy. The lower cushion had acquired some stains that I was unable to get out, so last night on a whim I grabbed an old orange wool blanket I had picked up for $20 and recovered it. I was surprised how well it came out considering #1 I stitched it all by hand, #2 I was fairly occupied catching up on Walking Dead. Who knows how well the orange will hold up. In the meantime, it looks like I may need to rethink my pillow colors. Published on February 11, 2013 by Creede Fitch. 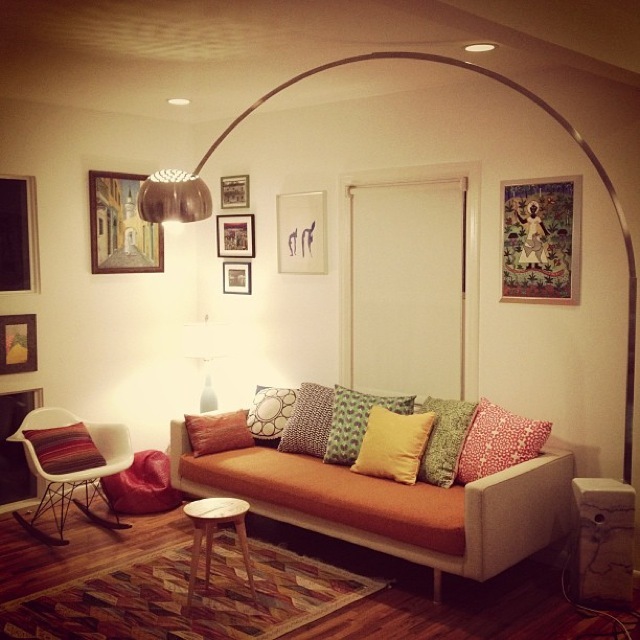 Tags: DIY, living room, Seating, Mid Century Modern.